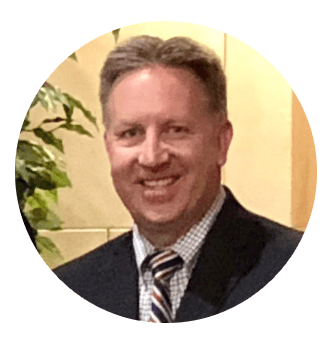 Gregory J. Facemyer, MD, FAAFP, is a compassionate, award-winning Family Practice and Primary Care Physician at Austin Square Medical Group in Youngstown, Ohio. Dr. Facemyer offers a diverse range of care and services, including acute and chronic care management, annual well-child checks, physical exams, Medicare physicals, echocardiograms, electromyography, electrocardiograms, stress tests, home sleep studies, ultrasounds, pulmonary function tests, joint injections, and cryosurgery. Dr. Facemyer earned his medical degree in 1996 at Northeast Ohio Medical University in Rootstown, Ohio. After earning his degree, Dr. Facemyer completed a Family Medicine Internship and Residency at St. Elizabeth Hospital in Youngstown, Ohio. As a Resident, Dr. Facemyer earned the highly coveted GlaxoSmithKline Resident Scholar Award. Dr. Facemyer is a Fellow of the American Academy of Family Physicians and is board-certified by the American Academy of Family Physicians. Dr. Facemyer worked continuously as a Primary Care Doctor in Ohio before launching his own practice, Austin Square Medical Group, in 2007. Before starting his practice in 2007, Dr. Facemyer was a partner at Ohio Family Healthcare Associates. In addition to his medical practice, Dr. Facemyer serves as an Associate Professor of Family Medicine and as a member of the Alumni Board of Trustees at his former medical school. As a clinical educator, he teaches medical students, nurse practitioner students, and medical assistants. Dr. Facemyer teaches at Northeast Ohio Medical University, Lake Erie College of Medicine, Youngstown State University, Kent State University, and Ross Medical. The Ohio Academy of Family Physicians named Dr. Facemyer one of the top three Family Physicians in Ohio three times. Dr. Facemyer is proud to offer his patients a traditional Family Practice in a modern-day setting. He provides a convenient one-stop shop where they can get comprehensive care, lab testing, and ancillary testing on-site at a reasonable cost.